Orion is the galactic Archangel… He is an incredibly powerful, cosmic, and love filled guide from the Celestial Realms. So the way I now look at it, is this… Yes, Orion is an Archangel and he is an incredibly powerful and active guide for humanity now that we are living during ascension times. Orion has always been serving Earth… But he is somewhat new in stepping forward to vocally and actively guide and support us on our ascension journey. Orion get's his name because he broadcasts healing light and frequency towards Earth through the center of the three stars which make up the constellation known as Orion's Belt! As we progress on our collective path of becoming awakened cosmic citizens, Orion has a ton of insight and guidance to share. He also has a great deal of advanced esoteric knowledge, wisdom and an expanded perspective he loves helping us to tune into… But he also has very grounded, accurate and practical advice to help us navigate our physical lives. who can help us the support of the universe in manifesting a life we love. Archangel Orion is super friendly, chatty, and easy to hear! He's like an incredibly wise, always loving, always understanding magical friend who is always ready, willing, and able to help you out with whatever you may need. He offers powerful help with energy clearing, protection, releasing dark or negative energy (or entities), and on the lighter side he will help you to open to receive and understand the vast beauty, magic and high vibrational frequency present now. Orion loves helping people open to their spiritual gifts, energy healing and channeling ability, and really… Their full potential. If you haven't already connected with Orion, I definitely recommend it! 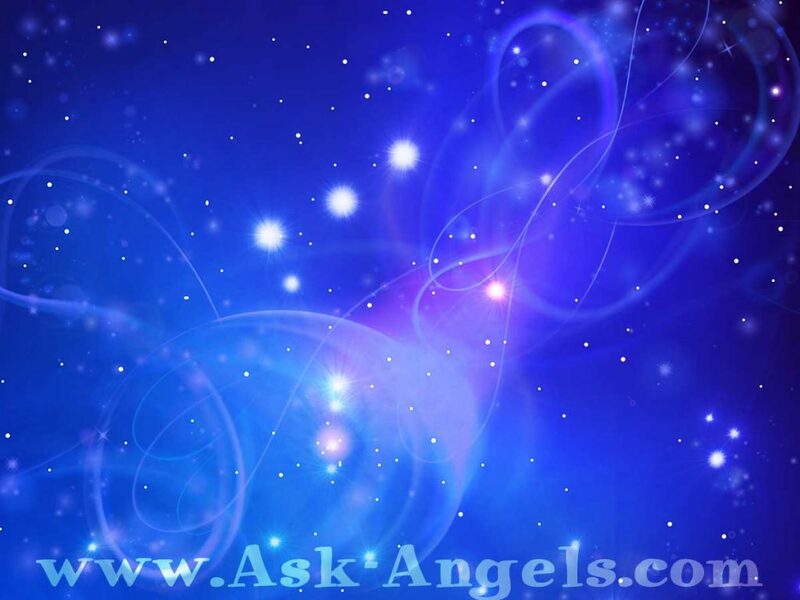 Orion is an incredibly powerful, loving, and helpful Archangel to have on your team! Be sure to check out the Angel Energy Healing Course here! 1717 Angel Number – What Is The Meaning? Goosebumps conquered my whole body … I even didn’t realized the opportunity that Orion could be an Archangel or working side by side with them. This is amazing! In winter time (Orion’s belt is then in our night skies) I usually woke up in the morning 3:03 or 3:33 o’clock (like someone would’ve nudged me and said: “Hey, wake up!” – that weird sensation I can’t explain) and the first thing I noticed from my window (I sleep next to it) was Orion’s belt. It made me feel happy and I knew I was protected, loved, watched over… and now reading this makes me feel so thankful, happy, emotional and blissful. I didn’t understand it at the time but, now I know what and who it was. Another interesting thing is that my birthday is in 13th of March (13.03) and I was born at 13:00 o’clock, it was also a Friday :D. So, number 3 has a meaning… I still haven’t figured out what it is tho :). I will definitely try to connect throughout meditation with this beautiful being of light called Orion. Anyhow, thank you, Melaine, for this incredible website and your beautiful knowledge you share with all of us. It definitely gave me some answers I was seeking for. So amazing to hear Francesca! Orion is awesome… Glad to hear you’re also connected! I am astonished! The very first thing that I see when I join this group is the Archangel Orion. I have watched Orion in the sky, been obsessed, if you will, not realizing why, since I was a young child and learned about the constellations in school. Immediately I gravitated to Orion. I would wait, excitedly (a mild word for it) for Orion to appear each year. I would talk to him, often! I would lay on the ground, looking up in the sky and talking to Orion until it became too cold. Back then we got snow and I would look at Orion in the bitter cold when I was out in the snow for any reason. He made the cold less so. Always he made whatever I was going through easier to take. I would point him out to whomever I was with, trying to get everyone excited about Orion. It didn’t always work, but I certainly tried. Archangel Orion, you have watched over me my whole life. I have certainly needed you. Thank you for protecting me. And thank all of you for accepting me as a new member of this group.